And just like that. We have a new title. The Man of Steel Twitter page just shared the above logo to mark the start of production on Zack Snyder’s anticipated sequel, revealing in the process that the movie once known only as Batman v. Superman will carry the subhed Dawn of Justice. What do you think of Batman v. Superman: Dawn of Justice? Obviously, this is a nod to Zack Snyder’s plans to transition from the Man of Steel sequel into a full-blown Justice League movie. And the "Dawn" part of the new title suggests a beginning of a partnership… even if the "Versus," which is still there, signifies that Batman (Ben Affleck) and Superman (Henry Cavill) are going to come to blows on screen before a peace treaty is established. I still stand by the belief that we are going to start this film with Ben Affleck’s Batman investigating this new "threat" that recently leveled much of Metropolis. Likey, Bruce Wayne will have seen his share of battles, and now needs to know if Superman is an ally … or a nemesis. They’ll duke it out, then settle on a truce in the third act, leading into Snyder’s planned Justice League movie. So, lets nitpick. Why the "v" instead of "vs." in the title? As the astute Kelly West pointed out, that makes this sound like a court case. And "Dawn" is a word that is getting tossed into too many titles as of late, from Twilight sequels to the upcoming Dawn of the Planet of the Apes. It feels like a buzz word that a marketing department told Warner they HAD to include. 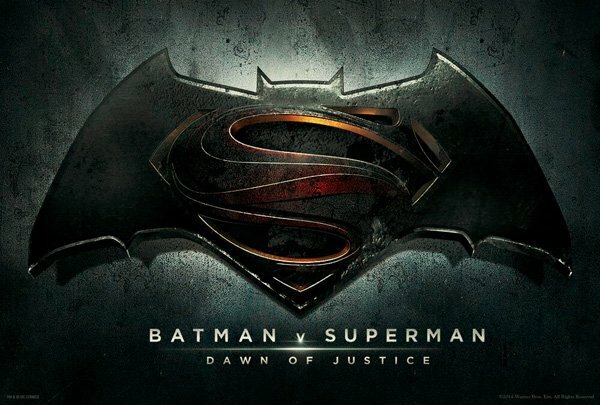 Why not call it Batman v. Superman: Breaking Dawn Of The Planet Of The Apes Begins Into Darkness? Fans know all that they need is "Batman" and "Superman." We all stopped reading after that! We now know what Zack Snyder’s movie is called. We know who’s in it, and we know when it’s coming. All that’s left is for Captain America 3 to change its official title to Captain America 3: I Crap Justice For Breakfast, and all will be right with the world.